Pinburgh 2012 Finals Now Online! The PAPA crew have just posted last year’s Finals. They are definitely worth a watch, as well as many of their other videos. Bowen Kerins asked that re-posts of the Finals link to the PAPA blog, so check it all out here. 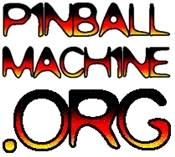 Over 3 hours of pinball action with commentary! !